Some say an area in central California is a popular stopping place for aliens. 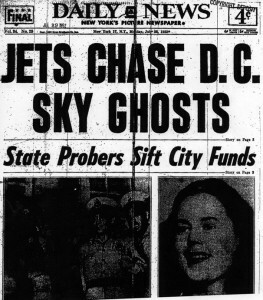 On July 8, 1947, a crash in Roswell, N.M. described by local papers as a “flying saucer” lit a fire in America: UFO fever. And today, just over 65 years later, some Central Californians believe their region remains a UFO hotspot, the bottom leg of a “UFO triangle” as mysterious as Bermuda’s. Go Even DEEPER, Read My completely documented 4 part report of my year long investigation into the origin of unknown craft. Using the material available from the first 50 years of modern unexplained flying machines in the skies of the world I found surprising information. Well, this is interesting. There’s an alien lying on a hospital bed and a larger-than-life wall-sized photo of Lonnie Hammargren dressed in medical scrubs behind it. The implication here is that Dr. Hammargren, former Lieutenant Governor and neurosurgeon, conducted alien autopsies. It’s a little joke thrown in by the Atomic Testing Museum for its Area 51: Myth or Reality exhibit.